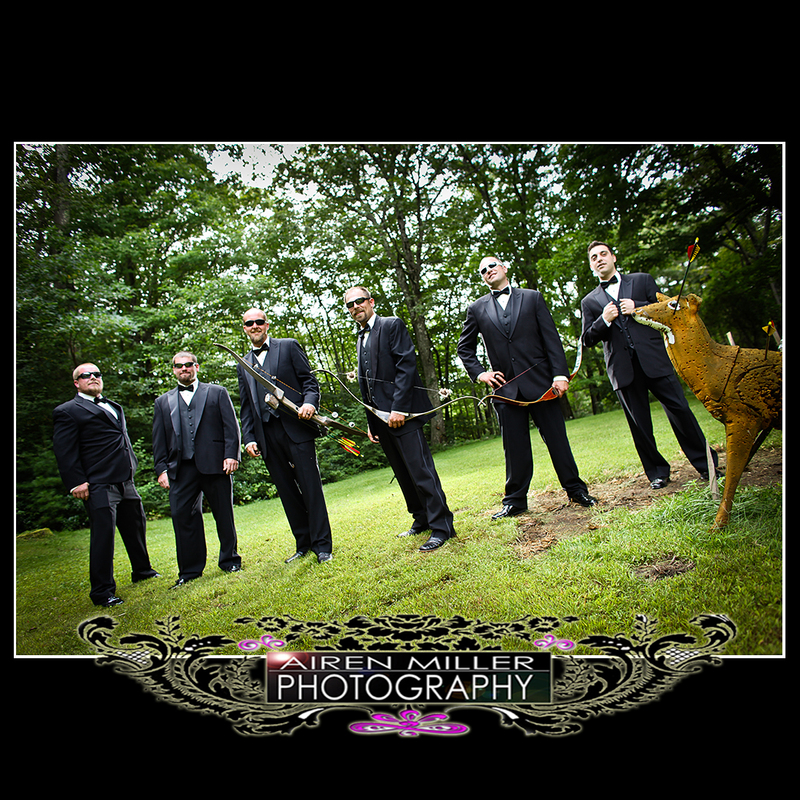 Julia and Tim’s wedding was one of country beauty. 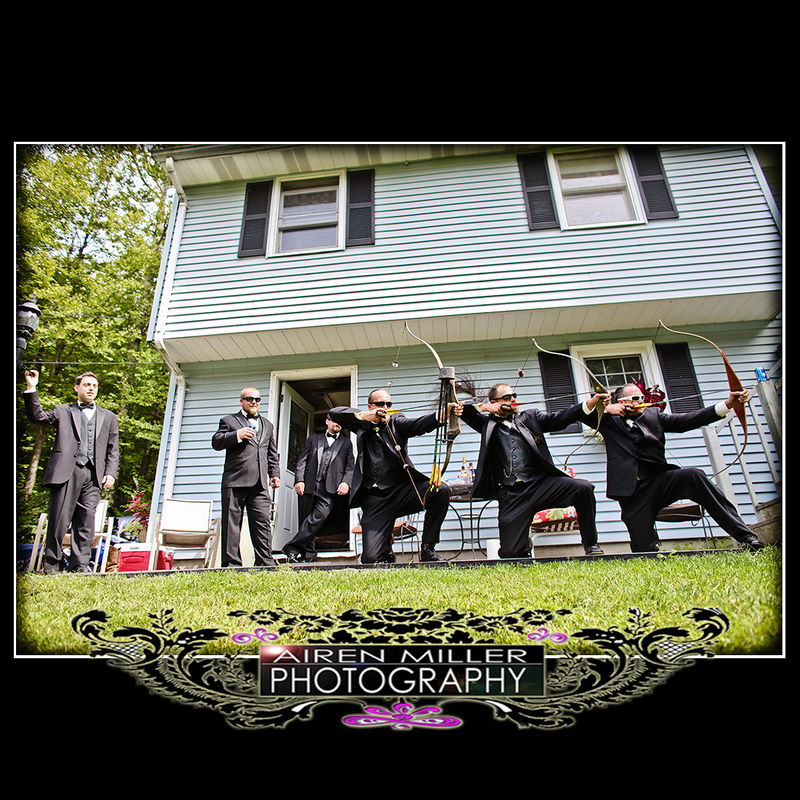 Starting in the foothills of Connecticut’s beautiful mountains, we found the groomsmen…doing shots! Not shots at a bar…but shooting their custom bows; taking in some early afternoon target practice to loosen the nerves on the big day! 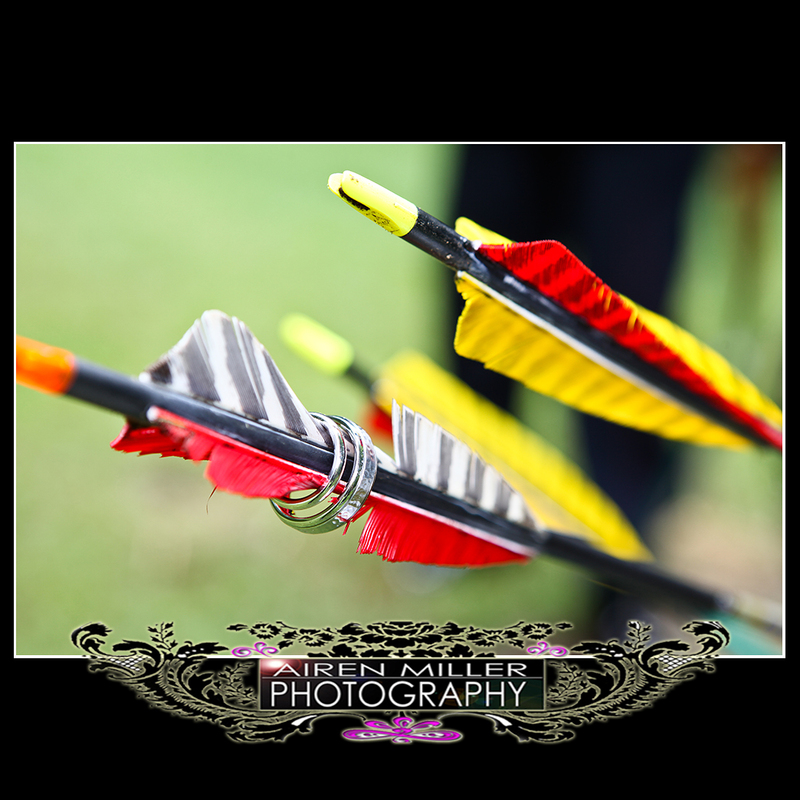 Check out the ring shots…popped on top of Tims custom marked arrow feathers (called fletchings). Julia’s wedding gown was the perfect choice for a spark of vintage elegance with an old world feel. 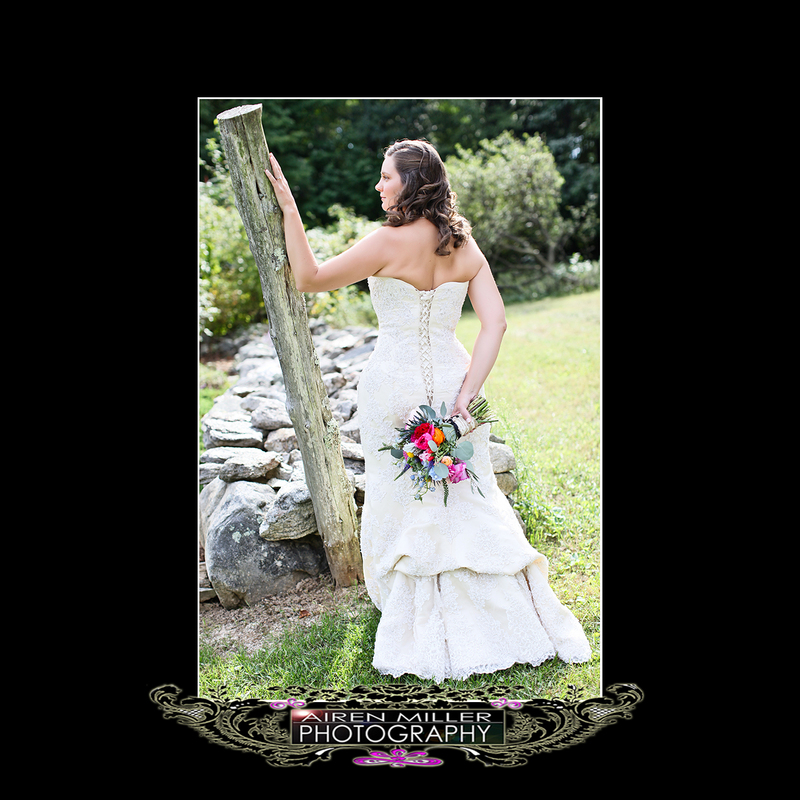 We were excited to photograph her and the ladies in her parents backyard…a beautiful apple orchard! Even cooler? How about a portrait of Julia with her fathers vintage muzzle loader? With sun rays flying and laughter in the air, Julia and Tim were wed in a country chapel…checkout the group photo…of everyone in attendance! After some group formals at the chapel, our bride and groom were off to the reception…in the back of the bridal party pickup truck! The reception was stunning, and so different… in fact it was outside…at Ski Sundown…and it was amazing! With sunlight and flare, and warmth, we walked the ski area property, and made use of the seasonally closed ski lifts.. a neat way to tie in with the surroundings. Night dancing on the outside deck and great tunes from DJ Kurt, everyone danced from the bridal party to the littlest flower girl. A country wedding wouldn’t be complete without a bonfire… and some hot shoes! Congrats again to Julia and Tim!